Kurt Holland wants the best for his younger brother, which is why he moves Sam to Bridgeport, Ohio. It's a bigger town with a well-known high school. Just the place to give his little brother more opportunities-maybe even a scholarship to college. Kurt hopes his gamble pays off, since Sam's future isn't the only thing riding on it. Kurt's put most of his savings into a new landscaping business there, too. But when Sam gets in trouble for fighting at school, Kurt isn't so sure it was the right decision ... until he meets Sam's English teacher.Emily Springer is passionate about helping all of her students succeed, but there's something about Sam Holland that makes her want to go the extra mile. When he's caught in a fight at school, she goes to bat in his defense, and during a conference with the principal she meets Sam's rugged older brother-and guardian. Emily has a strict no-dating policy when it comes to her students' parents, but Kurt isn't technically Sam's parent. It's OK to bend the rules a little bit, right? In an effort to make some friends and find a place in the Bridgeport community, Kurt starts up a weekly poker game in his garage. 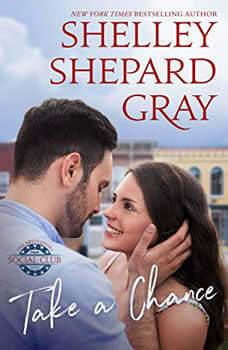 It's not long before everyone wants in, and they all soon discover that these Friday night poker gatherings are about more than just the game.Shelley Shepard Gray's new Bridgeport Social Club series is about men who need a place to call home, a community in need of hope, and a group of women who are special enough to help both things happen. This first installment is genuine and heartfelt. It's filled with hope, warmth, and the belief that love and acceptance can overcome any tough situation. A Publishers Weekly Editors' Choice in Romance for Fall 2018.